Fat is a fabulous friend- if you can handle it. With our frenzied cultural focus on ketogenic and keto friendly diets recently, we thought we’d do our due diligence and discuss the elephant in the room- digesting and absorbing the fat you eat. Over 25 million Americans have a poorly functioning- or removed- gallbladder, usually a result of gallstones, a significant health problem in many developed societies. We know the outward costs- about 6.5 billion dollars annually in the United States- but what are the internal costs from malabsorption of fats and fat-soluble vitamins? How do you modify your diet and lifestyle to give it your gall? Your liver makes bile, a combination of bile acids and lecithin, to emulsify and subsequently help you digest fat. Your gallbladder stores this precious bodily fluid for use when you eat fat and when you bind toxins to send off in your stool. Your typical long-chain fat goes on a long digestive journey- broken down by lipases in the stomach, emulsified by bile and cut by lipases in the small intestine, packaged and circulated in fat carriers, sent through lymph vessels, then brought to the liver to be utilized. What a ride! Two key parts of that journey involve stomach acid and bile, both of which must be functioning well to support a higher fat diet. Stomach acid starts protein digestion. Without robust stomach acid, you cannot chemically cut protein containing healthy fats (like grass-fed meat or wild-caught salmon). Food sits in your stomach undigested longer, causing heartburn and a feeling of persistent fullness. Bile is critical for all fat digestion and absorption. A certain amount of long chain fatty acids sends a signal to your gallbladder to pump precious bile into your small intestine and force fat into solution, merging oil with water. When you don’t have a gallbladder or you don’t make enough bile, fats don’t get fully absorbed, lowering levels of fat-soluble vitamins (A, D, E, K) and fat-soluble antioxidants. Bile helps you detoxify. On the other end, your body uses bile to bind and to excrete toxins. If you are constantly stimulating bile to flow due to eating a high fat diet, you may need to support your bile production nutritionally or eat less fat at one sitting to help your body keep up. We considered the importance of bile when we made our proprietary SKINNYFat kitchen oil, which is a blend of medium chain triglycerides (MCTs) and organic coconut oil that bypasses the normal fat digestion process and is perfect for people with a poorly functioning or removed gallbladder. We included just enough long-chain triglycerides to stimulate your bile flow, but not so many that they would tax your liver. We wanted to be sure you are absorbing critical nutrients! Obesity A big belly is a huge risk factor for gallstone disease, noted in at least 25% of morbidly obese individuals, a large number of whom have increased production of HMG-CoA reductase, an enzyme that boosts cholesterol production. Rapid Weight Loss/Bariatric Surgery. A large amount of fat flushing from your system can create gallbladder havoc. This may be related to releasing toxins from fat stores. Metabolic Syndrome, Dyslipidemia (bad cholesterol balance), and Diabetes. All of these diagnoses involve inflammation, insulin resistance, and affect cholesterol balance. Certain Diseases. Liver cirrhosis, Crohn’s disease, cystic fibrosis, sickle cell anemia, and more come with a side of gallstone risk. Certain Medications. The somatostatin analog octeotride, the antibiotic Ceftriaxone, and thiazide diuretics increase risk of gallstones. Diet: High Calorie Intake and a “Western” Diet. In less developed Asian countries, the majority of gallstones are secondary to parasitic infection. In contrast, gallstones in Americans and members of more developed countries contain more cholesterol, correlating with inflammation and a Western diet. As you might expect, your diet has a profound effect on your gallbladder. Protective dietary factors include avoiding very high fat meals, limiting carbohydrates, drinking coffee, sufficient amounts of calcium, vitamin C, and exercise. 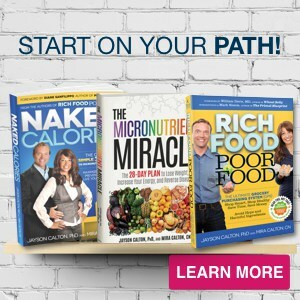 But there is more to protecting and nurturing your gallbladder with diet- read on to learn more! My Gallbladder is Gone – What do I do? Yes, you can eat fat. After all, bile is made in your liver, and you still have one of those! Without a storage spot for bile, you must be mindful of your fat at each meal or snack. Every-body is a bit different, but you can boost your bile flow by eating more cholagogues (see below) and choose different types of fat to nourish your gallbladder health so you do not become malnourished. Focusing on the right forms of fat will help you succeed. Emphasize healthy saturated fats, low omega-6 monounsaturated fats (like our SKINNYFat Olive) and omega-3 fatty acids (from fatty fish or a supplement like Origin Omega). When you choose foods high in long chain fatty acids, such as grass-fed or organically-raised meats and dairy, choose only the serving size you need to boost quality and decrease quantity (better for your wallet as well). Using a source of saturated medium chain triglycerides (MCTs), such as our original SKINNYFat kitchen oil, will not tax your liver to make bile and therefore give it a rest while you digest. Other nutrients that come alongside dietary fat need bile to be absorbed. Fat-soluble plant compounds and antioxidants, such as lycopene in tomatoes, curcumin in turmeric, or beta-carotene in sweet potatoes, require bile for absorption. You also use bile to absorb the fat-soluble vitamins A, D, E, and K, whether you are supplementing them or eating them in a meal of sweet potato, salmon, and turnip greens. You then store them in liver and body fat until they are needed, so absorbing them is a critical first step. STEP ONE – FOOD – Eat fat regularly, in the serving size that digests best for you. Choose foods that help you build bile, improve your bile flow, and maintain the macro- and micronutrient pool your liver needs to detoxify regularly. Eat fat in small, regular quantities by choosing small, regular meals. While there is a limit to the amount of bile your liver can put out at one sitting, avoid overdoing it with small regular meals. Bulk your meal up with high fiber vegetables. If you are not on a keto diet, choose unrefined grains, vegetables, fruits, lean fish, and legumes more often than high fat meats, poultry, dairy, and eggs. Include raw foods to boost vitamin C. While these notably high fat foods are dense with nutrition (please don’t avoid them), consider bulking up your plant power to give your gallbladder less work to do. 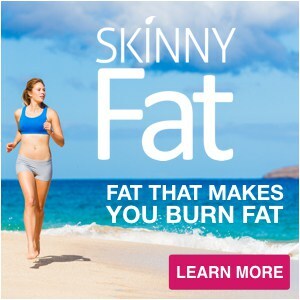 Note that coconut oil and to a greater extent our SKINNYFat oils with primarily MCTs gives you the energetic benefits of a quick-burning fat without much need for bile flow. Build your Bile. Bile acid is a mixture of bile salts (made from glycine or taurine) conjugated with cholesterol and secreted with lecithin (phosphatidylcholine). Eat for your bile salts. Glycine is one of the simplest amino acids and is in all proteins. Glycine content is highest in gelatin and bone broth, and robust in poultry, pork and beef. Less is found in fish and nuts and seeds. While your body can make some glycine, it is conditionally essential, meaning we can fall short on production. Taurine is an amino sulfonic acid (but often referred to as an amino acid) found in all animals and is absent from vegetarian foods- so a diverse diet is optimal despite emphasizing healthy sources of plant nutrition. Great sources of taurine include seafood, beef, and chicken. Boosting bile production (and excretion) with supplemental taurine has even been shown to reduce LDL cholesterol. Cholesterol. In a perfect world, you will recycle all the bile salts that you need at the far end of your small intestine and reclaim your cholesterol so that you never have to eat any. But the more you need to remove toxins from your body, and the more fiber you eat, the more likely you are to excrete bile salts and cholesterol. Eating enough animal foods, like red meat, hard cheese, and egg yolks, can help replace lost cholesterol, if you are running low. Choline. The main component of lecithin, phosphatidylcholine, requires choline, another micronutrient found in far higher quantities in animal foods than plant foods. Egg yolks and red meats (high cholesterol foods as well) are excellent sources of choline. Sunflower seeds have a notable amount for a plant food. Eat foods that promote bile flow (“cholagogues”) regularly, especially with high fat meals. Some people drink water with lemon in the morning to boost bile flow; other citrus fruits like lime, orange, and grapefruit contain limonene,, the chemical doing the heavy lifting. Other foods that promote bile flow are called cholagogues and include omega-3 fatty acids (both from animal and plant sources), all bitter foods, beets, cabbage, celery, garlic, horseradish, watercress, daikon radish, organic green apples, dill weed, caraway seed, ginger, artichoke, turmeric, dandelion root, and yarrow. Avoid blocking or slowing bile flow. Try not to eat large high fat meals. If you do, at least consume cholagogues at that meal. If you have no gallbladder, choose smaller amounts of fat or use SKINNYFat. Focus on fish. As in many other situations, adequate omega-3 fatty acids not only appear to reduce inflammation and improve insulin resistance that contributes to poor bile flow and gallbladder challenges, but also helps produce thinner bile that flows more easily. STEP TWO – LIFESTYLE: Consider that stress, inflammation, and medication influence gallbladder function. Easy on the Estrogen. Be mindful of your estrogen levels – if estrogen is so much higher than progesterone that they become out of balance, your bile can thicken and have trouble leaving the gallbladder. While food choices can help with this imbalance, reducing stress and avoiding oral contraceptives and estrogenic hormone replacement therapy are also important considerations. The fibrate drug Clofibrate, somatostatin analog octeotride, the antibiotic Ceftriaxone, and thiazide diuretics increase risk of gallstones. The fibrate drug Clofibrate, If you can avoid these, do. Estrogens (noted above) cause more cholesterol to be secreted into bile, increasing risk of gallstones. Bile acid sequestrants, such as Questran or Colestid, bind, increase excretion of, and subsequently lower cholesterol levels. These medications can contribute to nutrient deficiencies of vitamins (A, D, E, K, folate, B12) and minerals (iron, phosphorus). Move. Movement and regular exercise, especially of the endurance variety, seems to improve gallbladder health and bile flow. Lack of exercise, as in most metabolic considerations, makes matters worse. STEP THREE – SUPPLEMENTS: When the food recommendations above are inadequate or inaccessible, how can you bulk up your bile and guard your gallbladder? As noted above, you may want to supplement protein for your bile building blocks. Our plant-based IN.Power Protein Powder has 1000 mg of glycine per serving to soothe your soul and boost your bile. If you are concerned about your choline intake, our Nutreince multivitamin gives you two opportunities per day to get this crucial bile booster! You’ll also get the B vitamins you need to make phosphatidylcholine. Take Timely Turmeric. 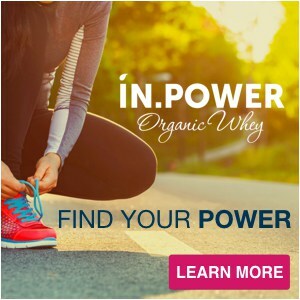 This powerful anti-inflammatory is also a powerful cholagogue. Just as a rich curry of coconut milk adds turmeric to the fat directly, take turmeric with a high fat meal to support bile flow. Love that limonene. Can’t eat cholagogues all the time? High amounts of the bile-flow-stimulating compound limonene are found in the white pith of citrus peels, such as lemon. 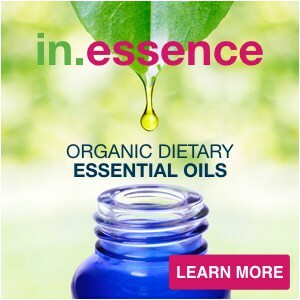 Because essential oils are extracted from the rind, you may wish to infuse drinking water with lemon or orange, from our In.Essence essential oils. Be careful with ingestion of essential oils. Choose quality. Go organic. Start low and go slow. Omega-3 Fatty Acids. 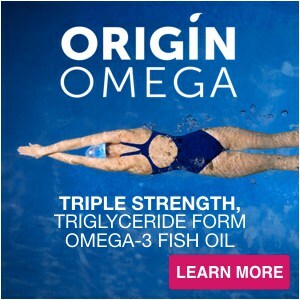 If you aren’t a fan of fatty fish, try our Origin Omega for a land-loving alternative. Fat-soluble-vitamins. A quality multivitamin will have adequate vitamin A, vitamin D, vitamin E, and both vitamin K1 and vitamin K2. For the health of your bones, your brain, and your heart- at least– get these bases covered. 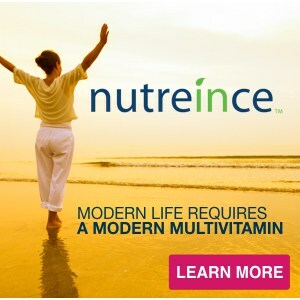 Try Nutreince for the quality you deserve. In the end we are BIG fans of a keto diet, but if you have a poorly functioning or removed gallbladder you have to be smart about the amount and type of fat you eat. As you focus on your gallbladder health to improve your fat digestion and your baseline nutrition, the further focus becomes dealing more deftly with the difficulties of detoxification! An open bowel and the ability to excrete bile alongside chemical contamination that drags you down is a powerful tool on the road to feeling and looking your best. Use the tips in this post to boost your bile today, and look for our post on dining for detoxification to help you detoxify tomorrow!